Will the credit crunch affect Freeview HD? 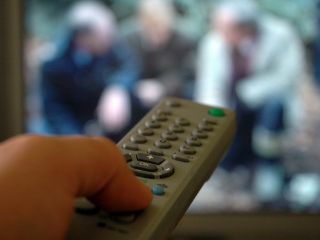 The recession could well affect funding for free-to-air HD broadcasting, with both ITV and Channel 4 anxiously in talks regarding just how the HD broadcast are going to be funded. According to Broadcast, C4 Chief Executive Andy Duncan has been speaking to the House Of Commons culture select committee (possibly with cap in hand) explaining that "discussions" were happening with the BBC about funding and admits money is an issue. "I would say there's a problem for us and ITV in terms of funding going forward," he noted. ITV and Channel 4 were both awarded with HD slots on the Freeview HD service back in October 2008. The fourth and final HD channel shot has still to be decided, with both Five and Film 4 competing for it. Although Freeview HD is meant to be launching in the autumn, ITV is hoping that its channel will be up and running by June 2010, just in time for the football World Cup. ITV already runs an HD service on Freesat – currently the only place you can get the channel's programmes in high definition.